Used Audi A5 Review - 2007-2016 | What Car? 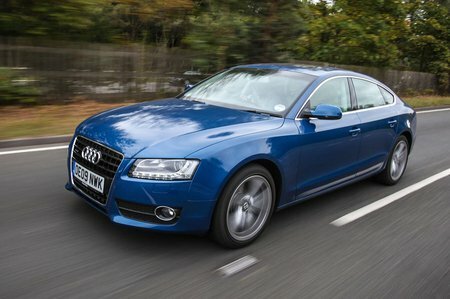 What's the used Audi A5 hatchback like? It may have started life sitting between the A4 and A6 saloons, with something of the feel of a niche product, but the success of the Audi A5 Coupé soon meant it was joined by a convertible model and this Sportback version. By Sportback, Audi means a blending of coupé style with saloon practicality, and you get a pair of extra doors and a useful hatchback rear tailgate over the regular coupé. It’s lower, wider and shorter than the contemporary A4 saloon on which it’s based, so some space has been sacrificed inside on the altar of design. Underneath, its running gear is all pretty familiar to Audi aficionados, with a wide range of punchy and efficient petrol and diesel engines; there’s even a mega-quick S5 version for the wild at heart. They’re all pretty refined, too. 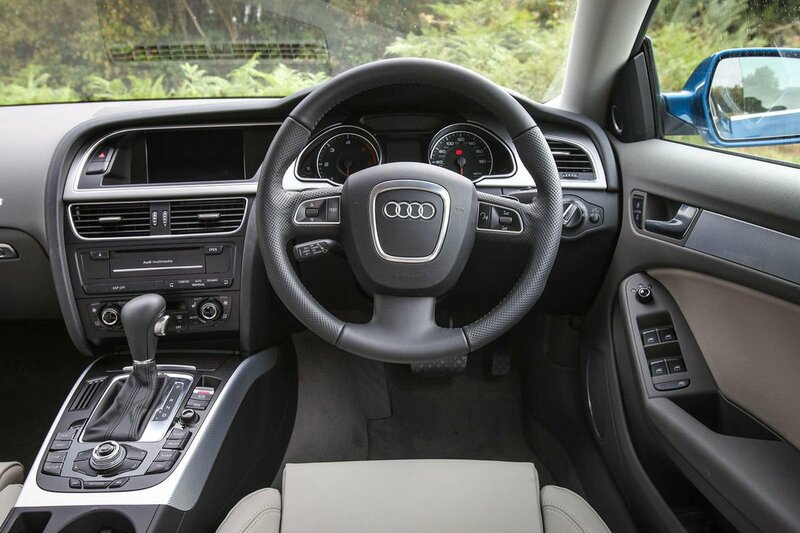 On the road, the A5 Sportback is safe, stable and competent in its behaviour, if not terribly exciting to drive. The ride can be firm, though, especially if you opt for one of the sportier suspension set-ups. Inside is an impressive interior of good quality, with good use of soft-touch plastics and high-quality leather. The driving position is excellent, and the dash and all the surrounding controls are all logically laid out and feel good beneath the fingers. There’s not as much leg and head room as in the A4 saloon, but the boot is the same size and its capacity is perfect for grand touring. In 2012, the A5 was given an overdue facelift, which gave the whole range a sharper, more intense presence on the road. Key to this was the new headlights and rear lights, LED daytime running lights and bumpers, along with a revamped front grille.